Whether you are a remote worker, or simply enjoy working from home, organizing your home office is essential for your productivity. 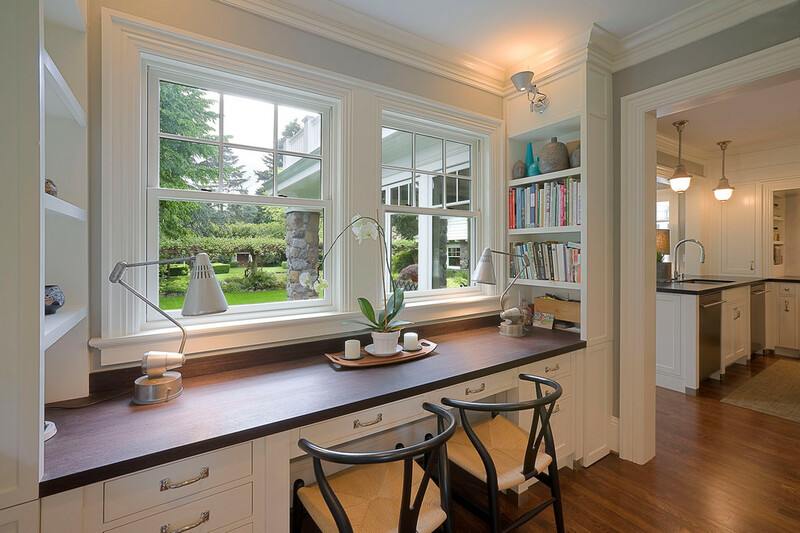 Creating your personal, cozy space within your house will increase your efficiency. Having a place that you can call “yours” will keep you focused and help you stick to your schedule. The style you choose depends on your preferences. We can help you choose the elements that will make your home office the perfect spot. Space is extremely important when working. If your desk is organized, you’ll have room to display your tools (such as laptop, mouse, etc. ), and won’t feel stressed about not having enough space. A clear space means a clear mind. When your desk is clean, you are able to prioritize tasks better and stick to your goals. If you have dirt or clutter on your desk, you’ll need to clean it up at some point anyways. Why procrastinate, and not do it now? Interruptions are annoying. Get rid of them. If you want to be productive, you MUST keep your desk clean. If you don’t, you’ll get distracted easily, and won’t be able to concentrate well. You need natural light at your desk! Why? It boosts your productivity and improves your mood. Research proves that people who do not expose themselves to natural light suffer from anxiety and depression. Artificial light negatively influences our sleep and makes us lose focus easily. Helping the environment by conserving energy is not a bad idea either. Natural light will improve your vision and health overall. Natural light also improves your sleep quality. And who doesn’t need to rest well after a long working day? Seek to use natural light when working, it’s so much healthier and eco-friendly than artificial light! You cannot work non-stop, that’s for sure. You’ll need to take a break from time to time, and relax. When you do that, make sure you feel comfortable in your own cozy place. Set up your computer zone in the lighter part of the house. Have a nice chair and desk in this zone for increased productivity. Set up a cozy zone for whenever you need to relax and unwind. Design this zone with sofas, pillows, and another small table in case you’ll need to write down some notes. Your two zones must be divided by an “invisible wall.” You could play some classical music in your unwinding zone, add some great books to read, and place a yoga matt in the center of the room for stretching purposes. If you don’t have enough space to place all of this furniture into your working area, don’t forget to take breaks every fifty minutes, and use your zone two for relaxing. I am sure there are certain things that motivate you, such as: your favorite painting, your favorite books, inspiring canvas, or even motivating quotes. Whatever you are into, make sure you personalize your working space. It will help you stay focused and increase your productivity. While some might consider these designs unnecessary, I believe that inspiration is truly important for anybody working remotely. 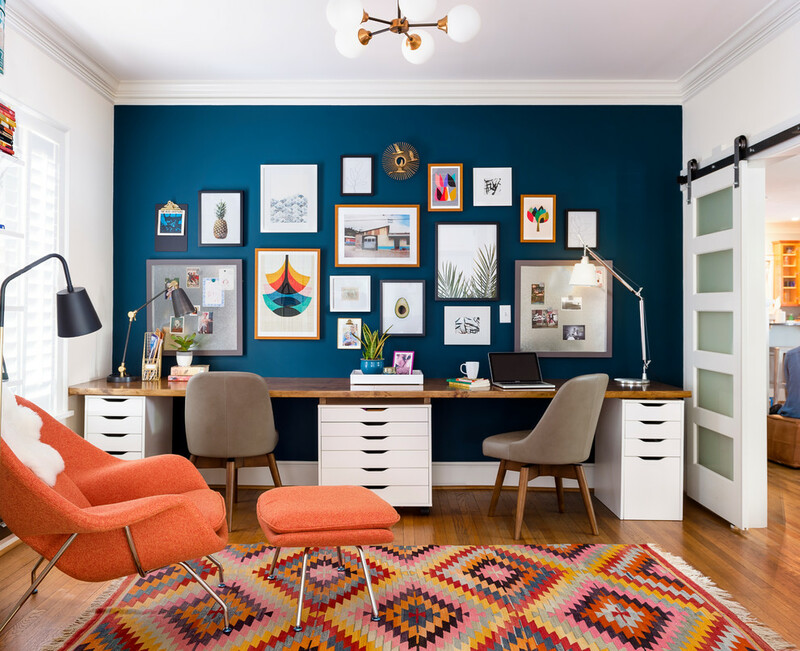 If you work from home often, designing your personal home office is essential. 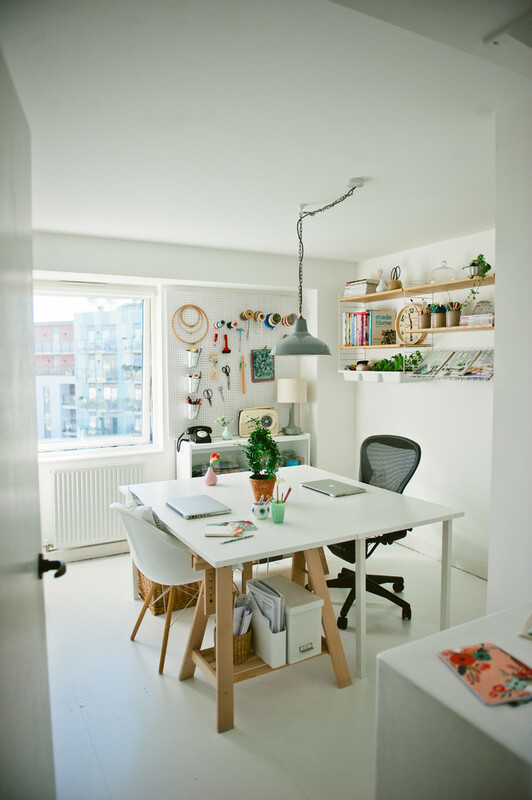 Don’t forget to keep your desk organized and clean, use natural light, divide between working zones, have multiple furniture options to choose from, and get the inspiration that you need. Eva Wislow is a career advisor and blogger from Pittsburgh. She is focusing on helping people break down their limits, find a dream job and achieve career success. She finds her inspiration in writing and peace of mind through yoga. Follow Eva on Twitter.